Many iPhone users are having a wireless network connection issue with their cellphone. Their iPhone disconnects from their WiFi network frequently and they have to reconnect them manually. This is very annoying. But don’t worry. The following are a few methods that have helped many iPhone users fix their WiFi connection issues. You don’t have to try them all; just work your way down the list until you find the one that works for you. 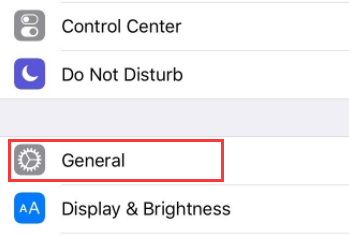 Your iPhone may keep disconnecting from your WiFi network because it’s too far for your network to reach. Make sure your iPhone is within the network range. If all your mobile devices are suffering from the same issue, the problem may result from your network itself. Try restarting your router and see if this fixes your problem (consult your router manual for detailed instruction). You may also need to contact your network service provider or router manufacturer for suggestions if you encounter hardware or network issues you can’t fix yourself. 3) Tap the information mark (i) next to your WiFi network name. If this method works for you, your iPhone won’t disconnect from your WiFi network again. 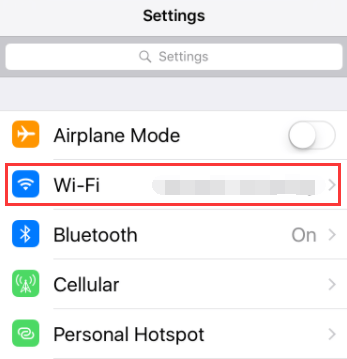 You can fix your disconnecting issue by resetting your WiFi connection on your iPhone. To do so, you should try forgetting your wireless network and connecting your iPhone to it again. 4) Tap Forget This Network. 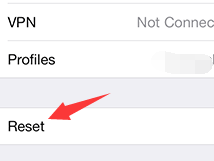 5) Reconnect your iPhone to your WiFi network and input your network password. Then check to see if this fixes your issue. Lease renewing updates the address information of your network. You should give it a try when your iPhone disconnects from WiFi frequently. 5) Check and see if your WiFi connection of your iPhone recovers. 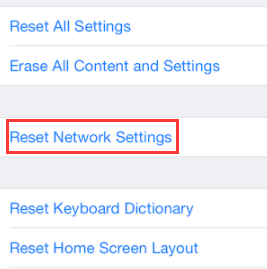 Sometimes your iPhone network issues can be solved by resetting your iPhone network settings. You should try this when the methods above haven’t worked. 3) Tap Reset at the bottom. 5) Enter the passcode if you are prompted. Then tap Reset Network Settings. 6) Wait for the restart and reset process to complete. Then, try connecting your device to your WiFi network and see if this fixes your disconnecting issue. Restart your router to fix the temporary issues with your Internet connection. Consider using another router. You may be experiencing hardware or compatibility issues with your router so your iPhone keeps disconnecting from it. We suggest you try a dual band router for better compatibility and connectivity. Hopefully one of the fixes above worked for you. If you have any questions or suggestions, you’re more than welcome to leave us a comment below!